The traditional version of Rasam! This rasam has a distinct flavour and delicious to eat with hot steamed rice or drink as a soup. An Array of spices infuse together to form a unique aroma. 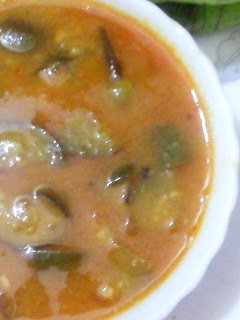 How to make this hot spicy Rasam? 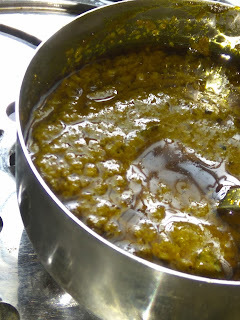 Pressure-cooked Toor Dal or Masoor Dal 50 gms with 300 ml water+1/2 tsp Turmeric Powder+ 8-10 drops of Castor Oil up to 3 whistles on medium heat. Pressure cook the dal with 300 ml water+Turmeric powder 1/2 Tsp+Castor Oil 8-10 drops up to 3 whistles on medium heat. Meanwhile, we assemble every ingredient on the table. Now Remove the lid and transfer the mashy dal contents to the mixing bowl. Mix well to infuse all the flavours into the Dal mixture. Now, heat the wok with Oil on medium heat. Once they start to crackle, add red chilly and curry leaves. Add tamarind extract and tomato dices. Allow boiling until the tomato cooked mashy. There are two conditions that are to be adhered to while making Rasam. One is the tempering and the other is observing when to remove the rasam from the flame. Do bear it in mind that we have to turn off the heat when the rasam starts to frothing. and about to start boiling. This will lock the perfect flavour and nice aroma. Turn off the heat when rasam starts to boil with froth all over the sides of the wok. Heat a tempering pan with ghee. Add Whole Ajwain seeds to fry. 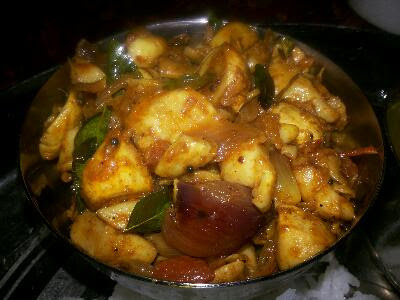 Once they start frying, remove from the flame and transfer the contents to RAsam. Rinse with little rasam and transfer to the Rasam again. Now the Vibrant Ajwain Seeds Rasam is ready to enjoy! Have it as a soup or have it with hot steamed rice. Both are very delicious. Good for weight loss. Rasam is loaded with health properties. Good for acidity. Treats indigestion issues well and keep the entire digestive system at bay. Queen of the skies by Nicolai Heidlas (https://www.hooksounds.com/author/nic...) is licensed under a Creative Commons license (http://creativecommons.org/licenses/b...).